Contrary to popular belief that extreme macro photography is only for sophisticated professionals with expensive equipment, I would like to show you that taking photos with extreme reproduction scales is no big secret. Anyone can do this themselves by simple means. 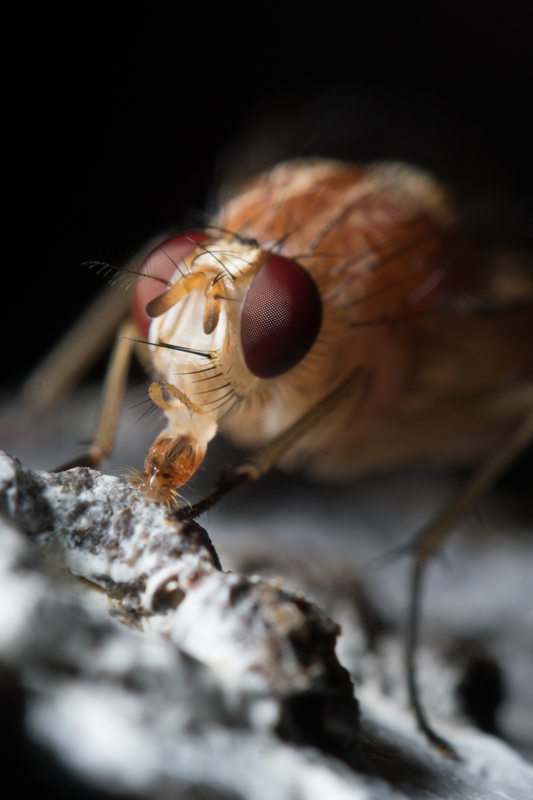 What are extreme macro photos? 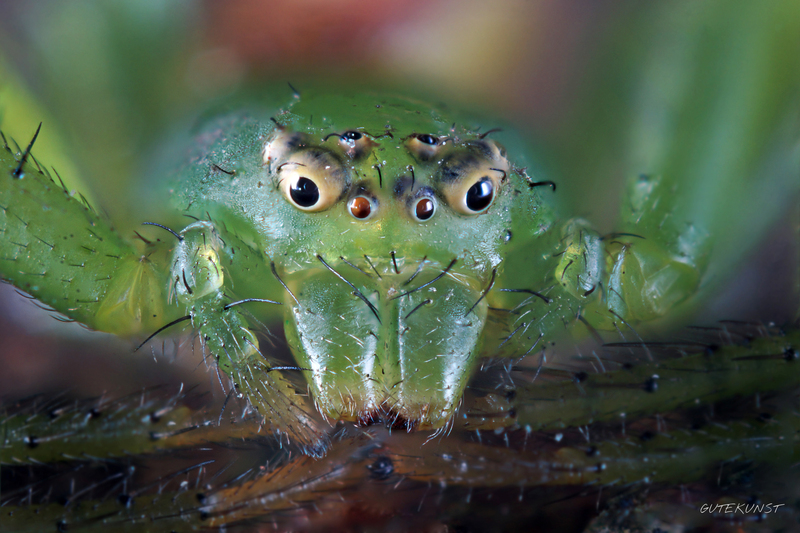 Definitions should always be used cautiously, but when I speak of extreme macro photography I mean basically everything that exceeds the scale of 1:1. One thing is for sure, though, this kind of macro photography is incredibly fun and besides, a whole new world opens up for you. You discover details you've never seen before! Which one you choose depends on the object to be photographed. For's Focus Stacking you need a calm motif and as little wind as possible. 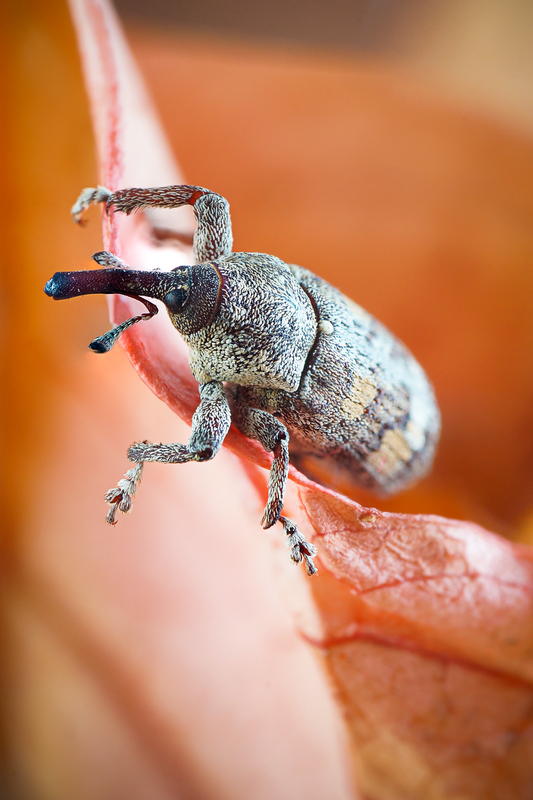 Regardless of whether it's focus stacking or not, the prerequisites for the extreme macro photos remain the same: you need the appropriate equipment to get above the magnification of 1:1 of the macro lens. There are many ways to get there, but I would like to introduce you to the two easiest and cheapest ones. A close-up lens is screwed or placed on the lens like a filter and shortens the focal length of the lens, i. e. the close-up limit decreases and you can get closer to the object. Even though close-up lenses often have a bad reputation and this is also justified for the cheap ones, I can only recommend the high quality macro close-up lenses like the Raynox DCR-150 or DCR-250 from personal experience. 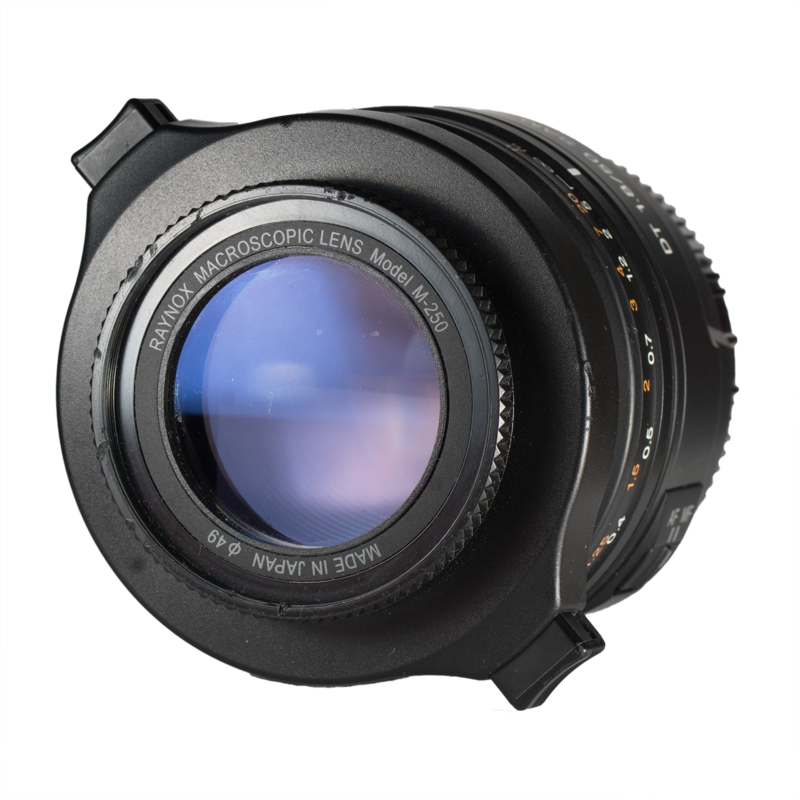 These lenses are a little more expensive, but they offer excellent image quality and effectively prevent chromatic aberration, which is commonplace with cheap close-up lenses. An enormous advantage of the close-up lenses in contrast to the handling with the reroad adapter is that the camera's automatic control, i. e. the aperture control etc. continues to function and handling is very uncomplicated. 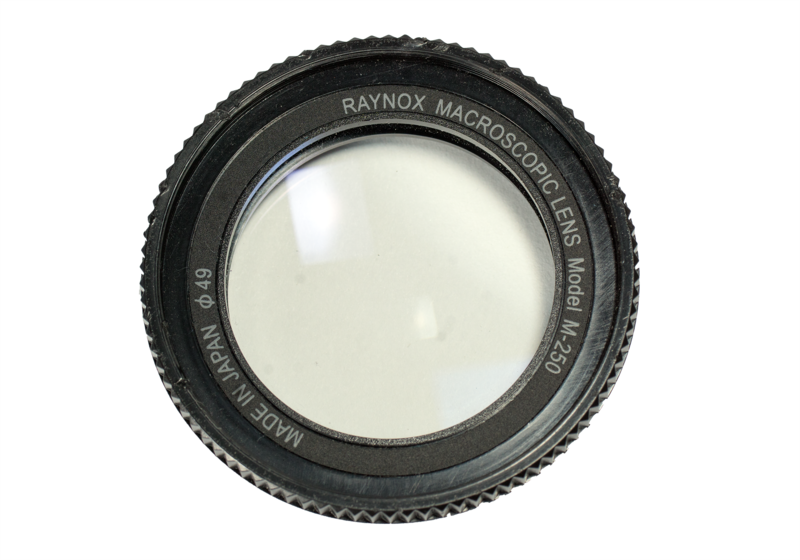 With an appropriate filter adapter (Step-down 49mm-43mm) two Raynox close-up lenses can be superimposed on each other and even higher magnification can be achieved. 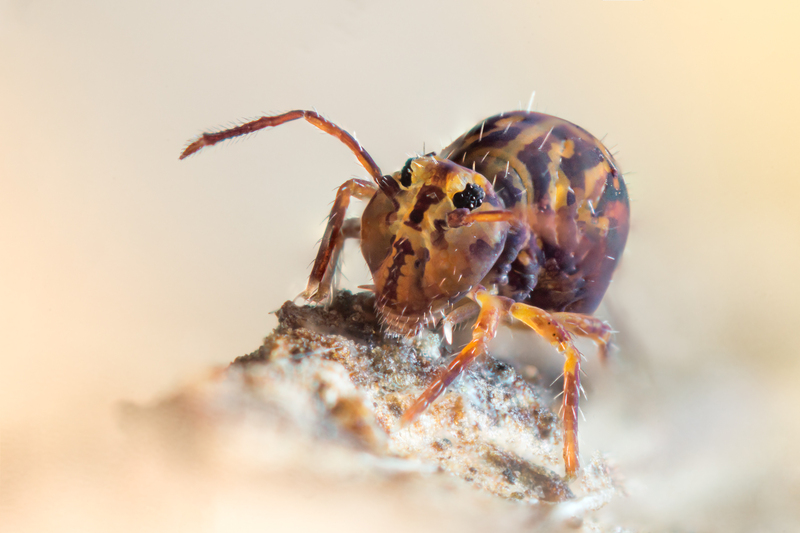 Photo: Globular springtail (< 1 mm) by Valentin Gutekunst - reproduction scale approx. 5:1 reversed, extension rings and flash light. 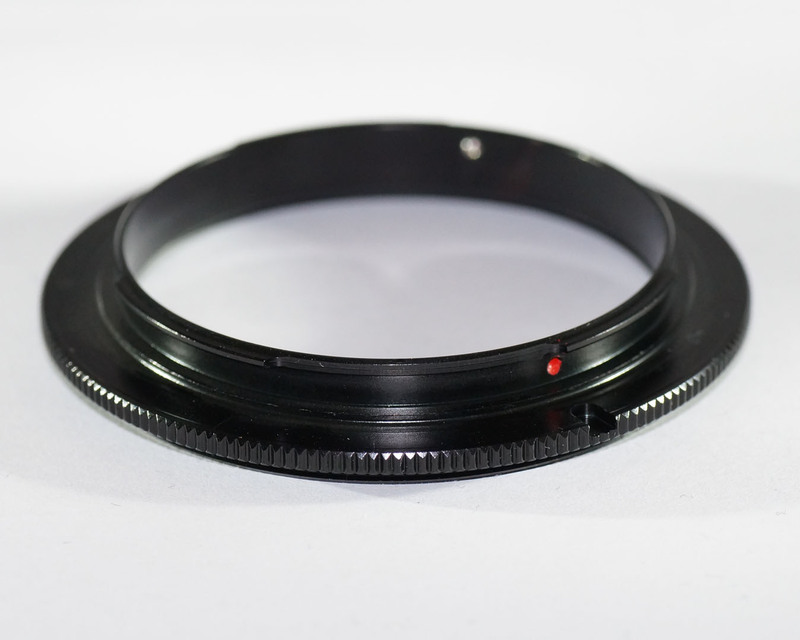 The reverse ring costs around 10 EUR and allows you to mount a lens on the camera in reverse! 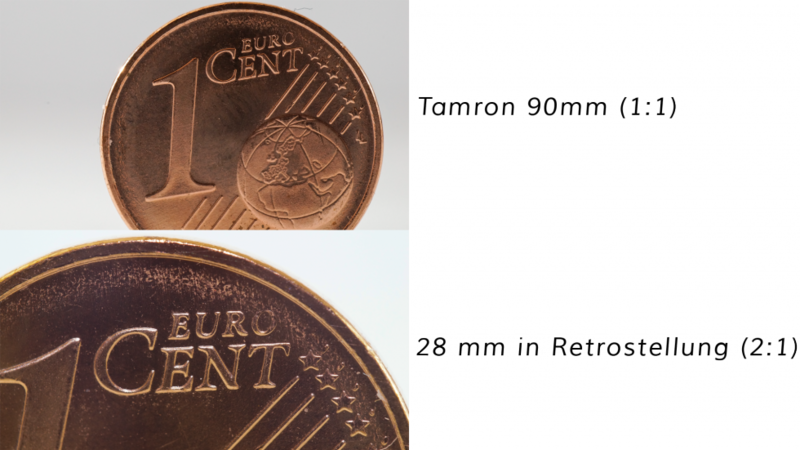 This results in a magnifying glass effect and can penetrate into high image scales! The disadvantage: All automatic functions (aperture control, autofocus etc.) are lost. Therefore, you should use old lenses that still allow a manual adjustment of the aperture. Alternatively, you can also buy a much more expensive reroad adapter that transmits the data, or you can use a normal lens to mount another lens in reverse position. For a really high magnification, get an inexpensive used wide-angle lens, e. g. with 24 mm (although smaller focal lengths like 16 mm allow an even higher magnification, the handling (e. g. the required amount of light) becomes even heavier, the smaller the focal length! and some extension rings, and a reverse ring. With this combination you can experiment cheaply and easily with high magnification! Comparison between a macro lens (Tamron 90 mm) that provides a 1:1 magnification and a wide-angle lens that was retrofitted to the camera with a reroad adapter. For example, you can get even closer to the motif by using spacers or close-up lenses in addition to the reverse ring. Or use a lens with an even smaller focal length (e. g. 18 mm). 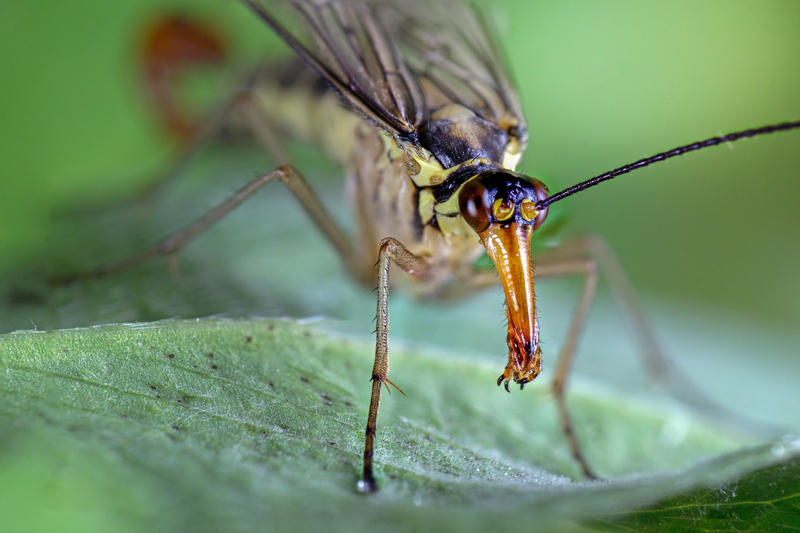 Due to these two tools, extreme macro photos are easy and inexpensive to realize for everyone. However, it is important to note that the higher the magnification, the smaller the depth of field and the more light is needed. 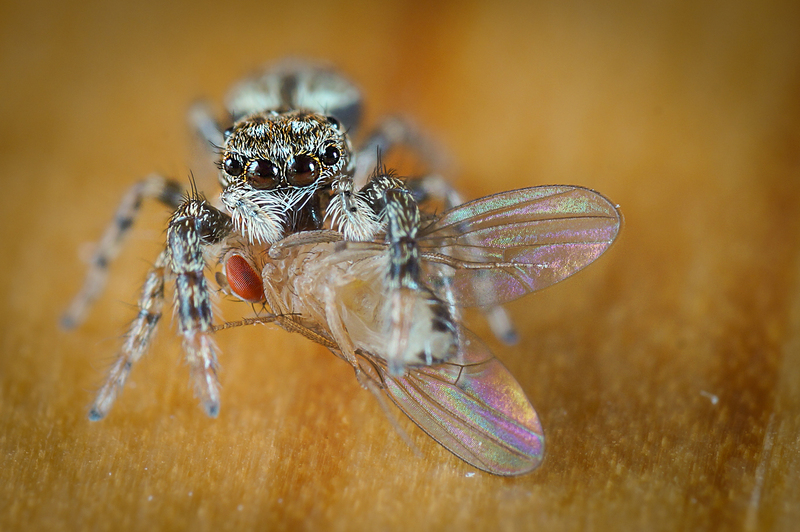 So you should consider using lightning (please don't use a ring flash, or do you like photos of insects with white rings in their eyes? See issue 2 of Makrofoto) or lamps. You liked the article? Or you have further questions? I appreciate feedback in the comments!